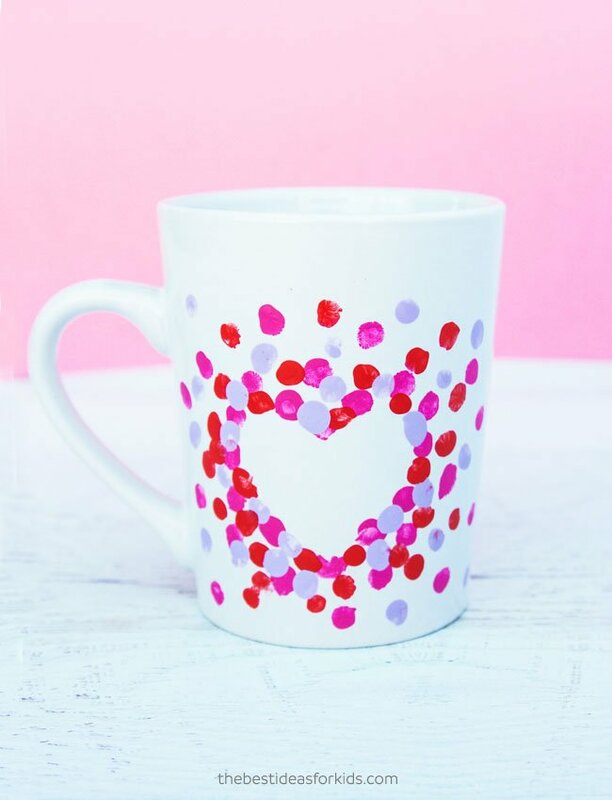 Making a personalized mug can be the perfect Valentine’s day or Mother’s day gift. You can give it as a gift to a teacher or loved one and it is such a practical gift they can cherish every day! 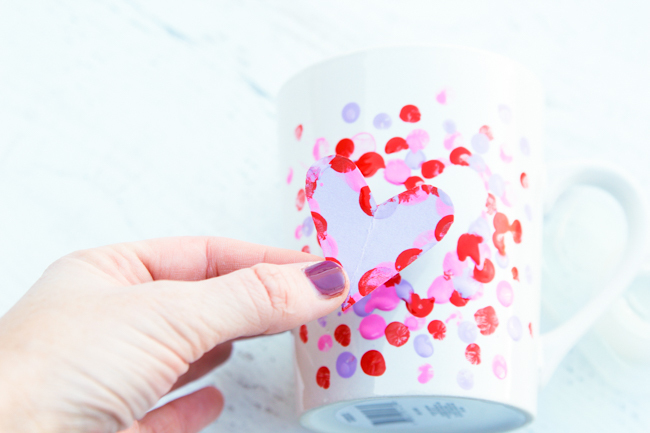 These fingerprint heart mugs are so fun and easy to make. 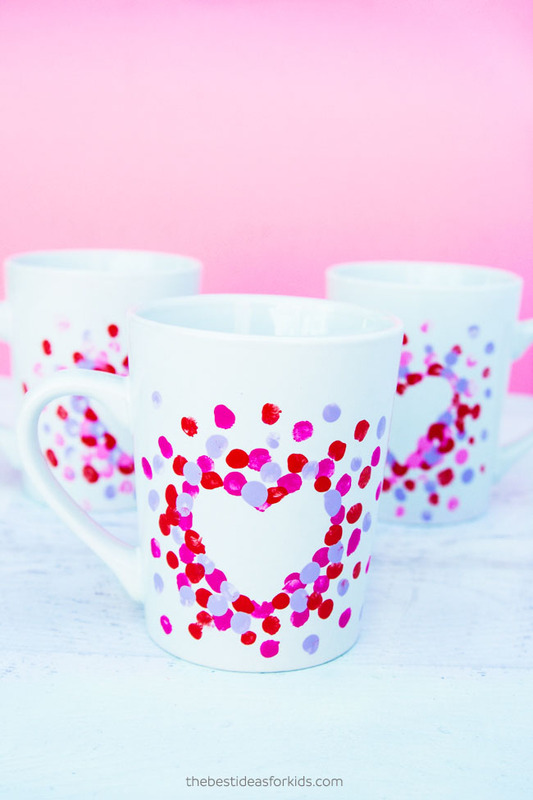 Kids of all ages will love dipping their fingers in paint to create these beautiful heart mugs. Get a gift card or packet of tea to stick inside of your mugs and give them out as gifts! 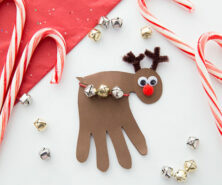 All you need are a few supplies and an inexpensive white mug to get started on this craft. Make sure to put your child’s name and date on the bottom of the mug if you are going to save it as a keepsake. These mugs are such great gifts because they can be enjoyed on a daily basis. 1. 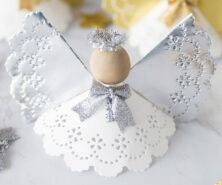 Begin by cutting out a small heart out of cardstock. Tape this to your mug. 2. 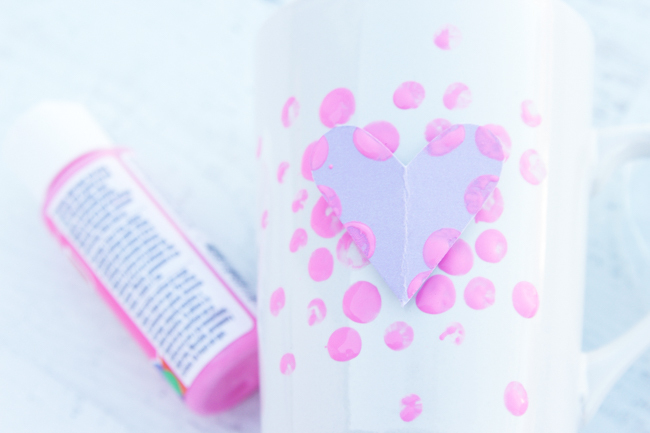 Dip your child’s finger into pink paint and make small dots around the heart overlapping the cardstock slightly. This paint is great because it can be used on both ceramic and glass surfaces. 3. Keep adding different colors of paint, making sure to stay about 1 inch away from the top of the mug. 4. 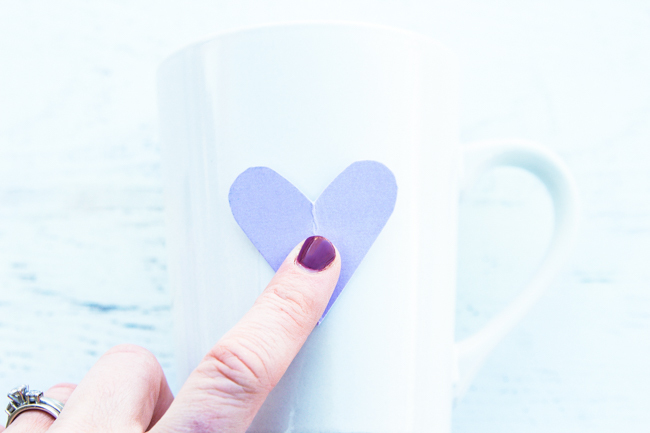 Remove the heart and allow the mug to dry. 5. 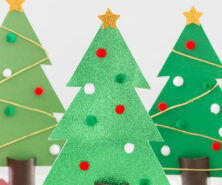 Bake it at a low temperature according to the enamel acrylic paint directions. 6. For extra protection, use this sealer which will help keep the paint from coming off. It’s safe for top rack dishwasher use however to be extra careful we would recommend hand washing these mugs (you wouldn’t want to wash away one of those cute fingerprints). 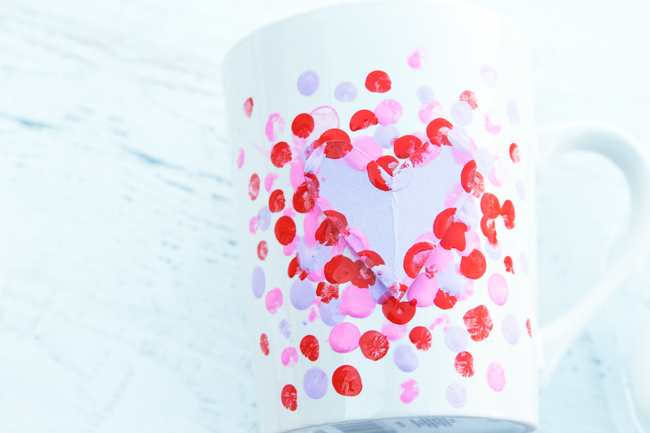 These mugs make such a special keepsake gift for that special someone in your child’s life! 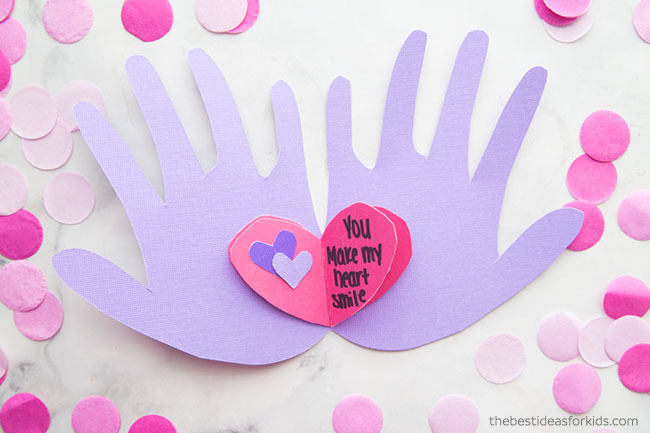 For another simple fingerprint craft, see these fingerprint heart cards with free template. 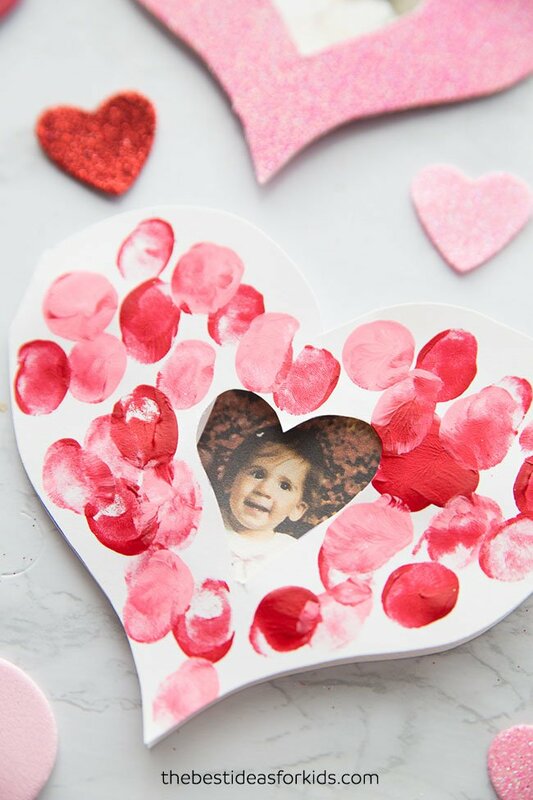 These handprint cards are so easy to make and are perfect for Valentine’s Day! 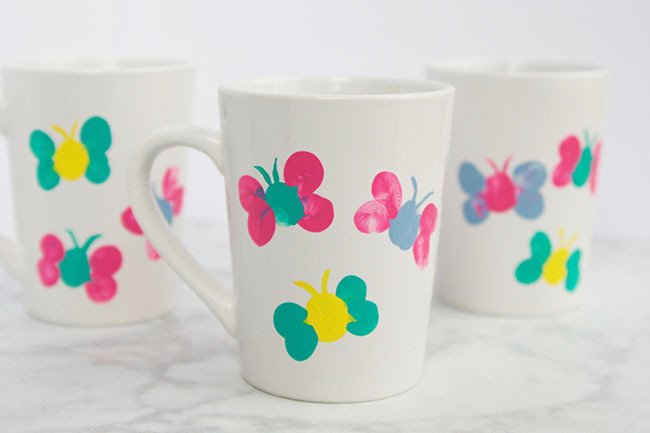 If you love this fingerprint heart mug, see how to make these fingerprint butterfly mugs.